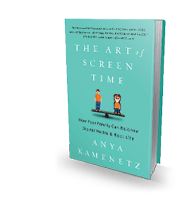 Anya Kamenetz, lead digital reporter at NPR and a mother of two, offers a practical guide on not letting digital media take over your family. She surveys experts, talks to parents, and avoids extreme, unsubstantiated positions. The bottom line: A little is fine, too much is no good, and screen time is best when it’s a shared experience. 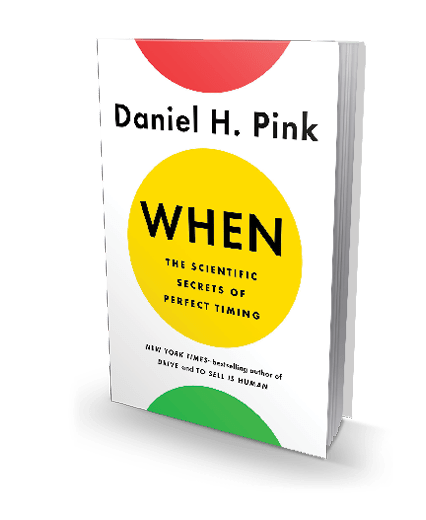 Timing is everything, people blithely say, when what they really mean is “luck is everything.” Most of us have only the vaguest grasp of time, and as Daniel Pink shows in his fascinating new book, you have to understand time if you want to learn good timing. Fortunately, timing is not an art, Pink says. It’s a science. Without that science, timing is a clumsy combination of intuition and guesswork. With it, you can know the best time to quit a job or get married. Pink is a leading writer about the changing world of business and work (Free Agent Nation and To Sell Is Human). Distilling the latest research in psychology, biology and economics, he shows how to recognize the hidden time patterns in your day, and how to use them to create the perfect schedule. These secrets will teach you which type of study break greatly improves test scores, how to turn a poor start into a smooth transition, and how to avoid going to the hospital in the afternoon if you can help it. Pink delivers a wealth of useful and timely information. Gabrielle Bernstein, a New York Times best-selling author, life coach and speaker, believes that if you stop using your energy on defensive judgement, life gets better. 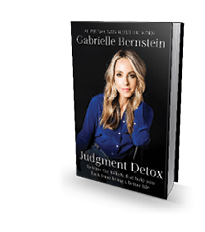 In Judgment Detox, Bernstein offers a six-step practice to stop judging yourself, mend relationships, improve your health and love freely. Her advice is based on principles from meditation, prayer, yoga and other metaphysical teachings. This husband-and-wife team of positive psychology experts wants to debunk the “you complete me” notion of romantic love. On the contrary, successful couples don’t require another person to be happy. 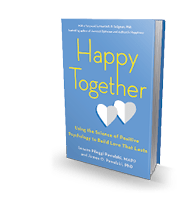 “The other person doesn’t so much complete us as complement us.” They name four key areas for any happy relationship: harmonious passion, positive emotion, mindful savoring and character strengths. The practice of healthy habits like this will strengthen a relationship as time goes by. To succeed, work is needed, according to international strategy consultant and thought leader Ama Marston. Teaming up with her mother, Stephanie Marston, a psychotherapist and work-life expert, Marston explores the characteristics that enable some people to thrive during the most difficult circumstances. She calls such people Type Rs (as opposed to Type As or Type Bs). 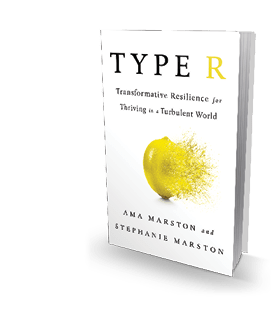 Transformative Resilience, a term trademarked by Ama Marston and the heart of her boutique consulting firm in London, is a learnable set of strategic and inner coping skills. The ability to find meaning in change is one, or a willingness to continue learning, or a healthy awareness that not everything is under our control. Transformative Resilience, Marston suggests, might not only enable us to navigate disruptive personal and professional changes but could also equip us to confront big problems like climate change. If you are among those who once hoped to die before you got old, there’s good news. John Leland, a veteran reporter and social critic at The New York Times, has been to the far horizon, and the news he brings is not so bad. Leland embarked on this project in his mid-50s, after his marriage disintegrated and his elderly mother had reached the place where all she wanted was to die. 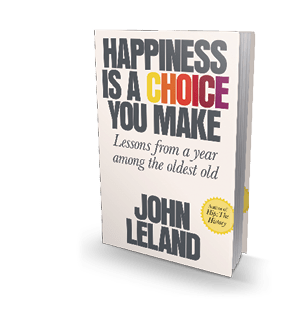 Deciding not to accept the notion of old age as nothing more than a period of increasing mental and physical decrepitude, Leland spent time among New York’s oldest demographic—people over 85. The result was an unexpectedly popular yearlong series in The Times, now polished into this book. Those who master the art of living, Leland learned, remain masters of their fate and quality of life.